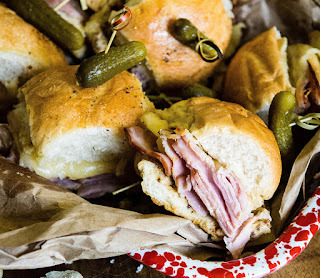 Recipe: Party Time Ham & Cheese Sliders | The Food Hussy! My hubby is all about deli meat - he's not much for cooking and he really just wants to eat sandwiches all the time. So I was excited to find the new Prime Fresh Deli Meats by Smithfield. And I have a great recipe for sliders that I can use the next time I have friends over!!! 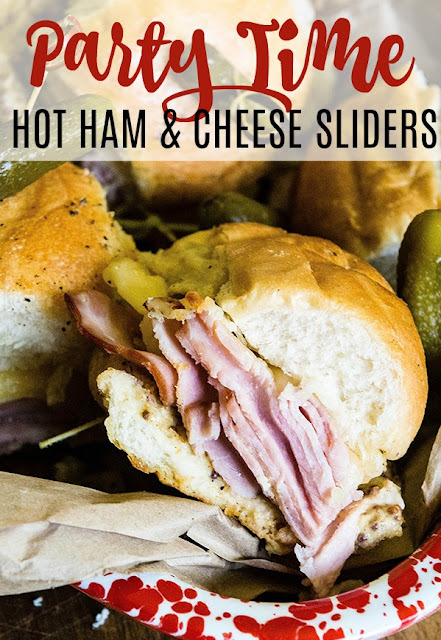 These sliders are so easy - you can eat them hot or col - use ham or turkey - or both! Prime Fresh has 6 varieties - with Honey Ham, Smoked Ham, Smoked Turkey, Oven Roasted Turkey, Rotisserie Seasoned Chicken and Roast Beef. Kita from Girl Carnivore is a food writer and recipe developer who’s knocking down barriers on the food scene and delivering quality carnivorous recipes to aspiring cooks and savory enthusiasts who want to play with food as much as she does. Find more recipes for Prime Fresh on their site. These sliders are perfect for any gathering - served hot or cold - you'll love them!